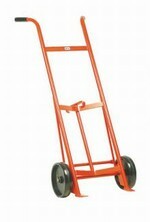 Lowest price 1000 lb. 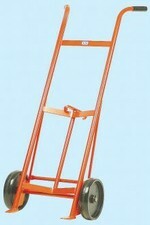 capacity truck available. 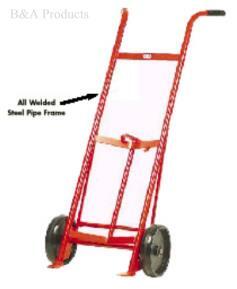 All heavy duty double welded steel pipe frame, welded beveled toes. 10" diameter x 2-1/4" plain bore polyolefin wheels. 61" high x 25-1/2" wide. Self-standing version has built-in kickstand for convenient storage.